no, i dont think so..
no. i dont think so.i mean who 'd look so handsome wearing a specs??????????????? Maybe, who knows. 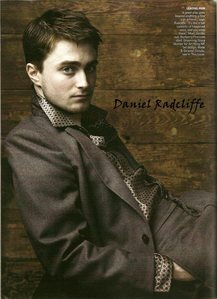 But I personally doubt it, Daniel is perfect as Harry Potter, in my opinion.